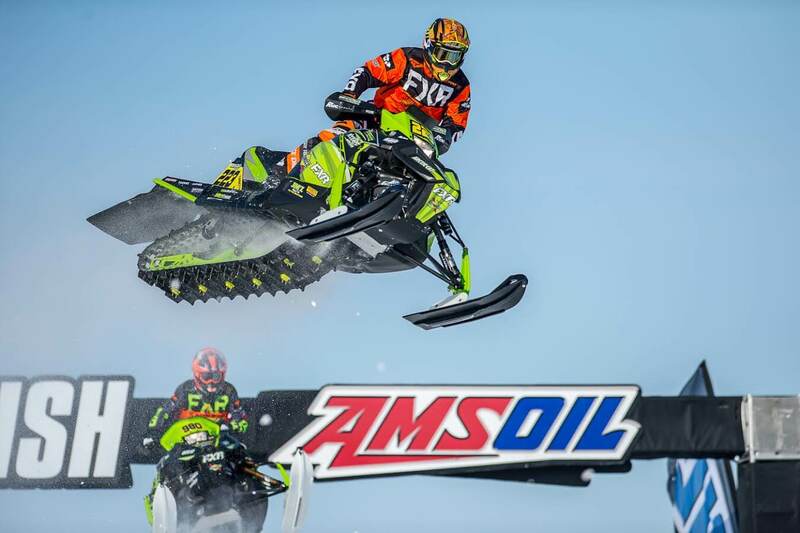 With the Polar Vortex slowly evaporating across America’s heartland, the setting was near perfect for round nine of AMSOIL Championship Snocross, POWERED by RAM. Just outside the doors of the Soaring Eagle Resort and Casino in Mt. Pleasant, Mich., series official’s set-up one of the largest tracks national circuit riders have seen in years, with large step-ups, tricky descents and enough rhythm for nearby Motown. 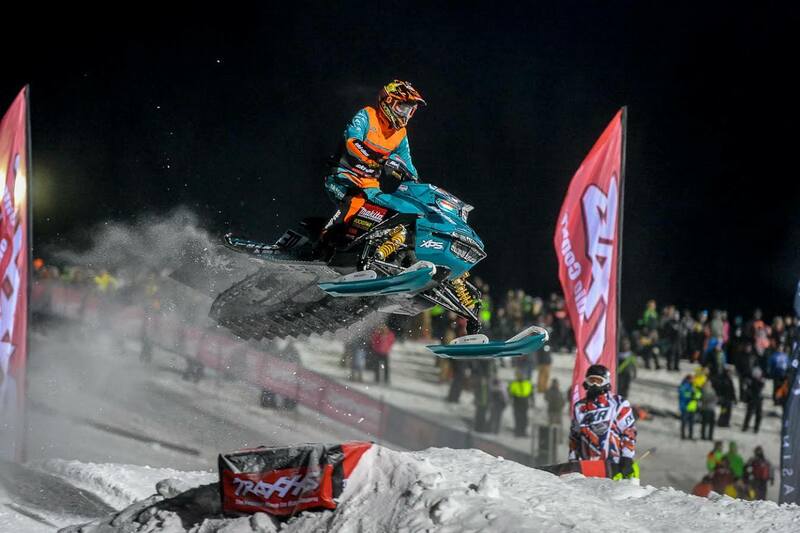 For Warnert Racing/Ski Doo’s Adam Renheim, the track set-up was perfect and the Swedish rider continued his impressive 2018-2019 campaign by picking up his second win on Friday night. 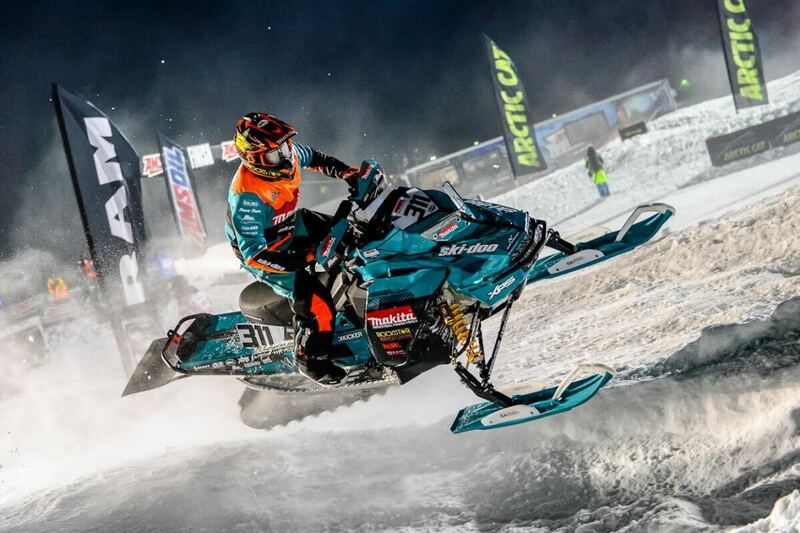 Renheim entered the Soaring Eagle Snocross National tied for second in points with Lincoln Lemieux, and just 25 behind front-runner Elias Ishoel. He’s also been one of the most consistent riders in the class, grabbing four podiums in the past six races, setting himself up for a second-half push towards the title. 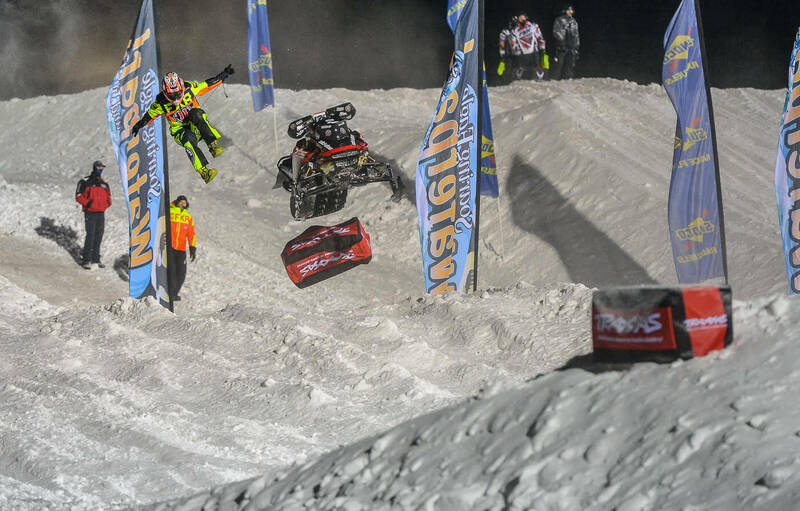 Renheim seemed unfazed by the large layout, saving his best run for the final in which he battled Hentges Racing/Polaris riders Petter Narsa and Kody Kamm for several laps before securing the lead and his second win of the season. 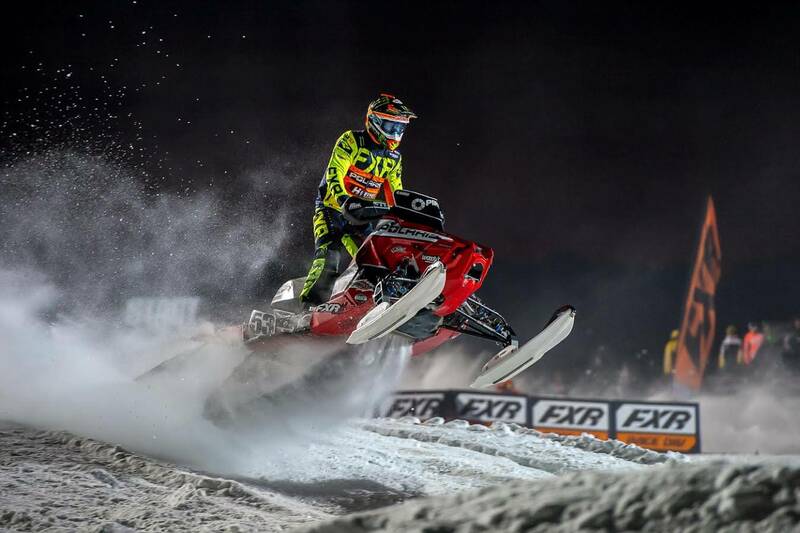 It was easily Narsa’s best night of racing this season as the former Winter-X Games Gold Medalist grabbed the Stud Boy Hole Shot and held off Renheim until lap seven. After finishing fourth overall last season, it marked Narsa’s first podium this year. His teammate Kamm might be proving the positive effects of winning heat races. Despite not having a main event win this year, the former points champion won both of his heat races and finished third behind Narsa. With eight heat race wins this season, he trails only Ishoel’s ten, and his strong night in Michigan vaulted him from fourth into a tie with Renheim for second overall. 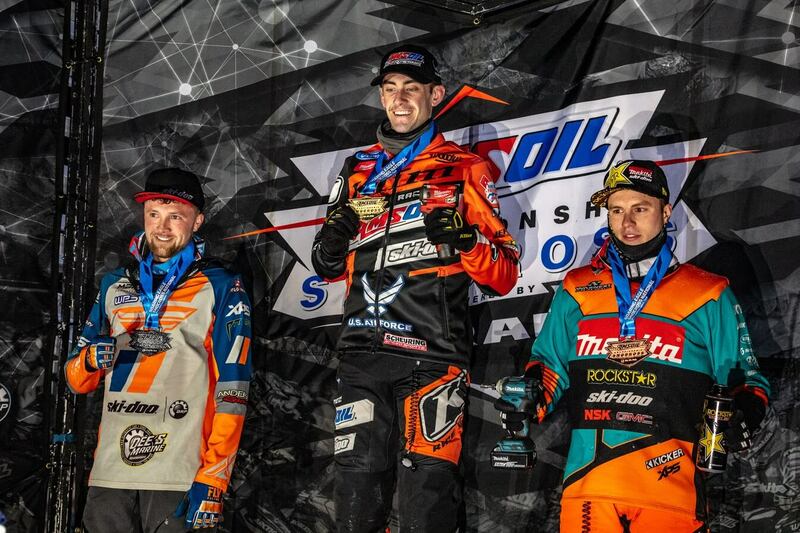 After a tough weekend in Deadwood, Ishoel was able to increase his overall lead on Friday with a pair of heat race wins and a fourth-place finish. 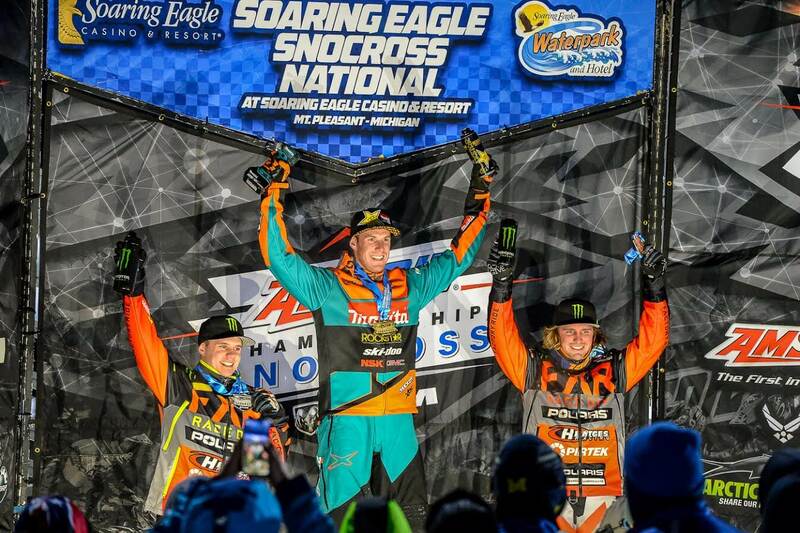 Lemieux, who has the most main event wins with four, was forced to an early exit after timed qualifying, and the effects of an on-going shoulder issue that kept him out of the Michigan opener. The most talked about rider on Friday might be Aki Pihlaja, who had a scary dismount earlier in the program. The round eight winner was able to continue on and will be ready to race on Saturday. 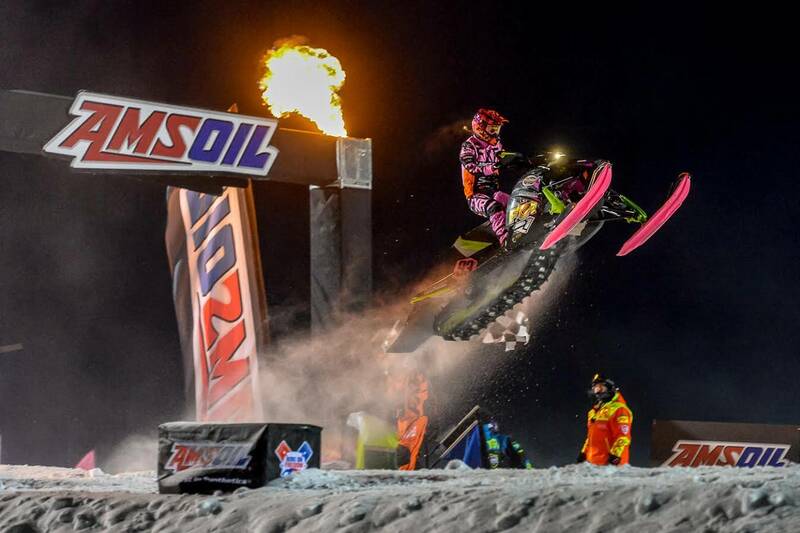 Scheuring Speed Sports/Ski Doo’s Hunter Patenaude spoke of having more confidence heading into Deadwood, and how the Scheuring Speed Sports team has delivered a steady stream of motivation over the past few weeks. It seems to have paid off as the second year Pro Lite driver picked up his second straight win on Friday night. Patenaude came into the final as the top qualifier after winning both of his heat races. 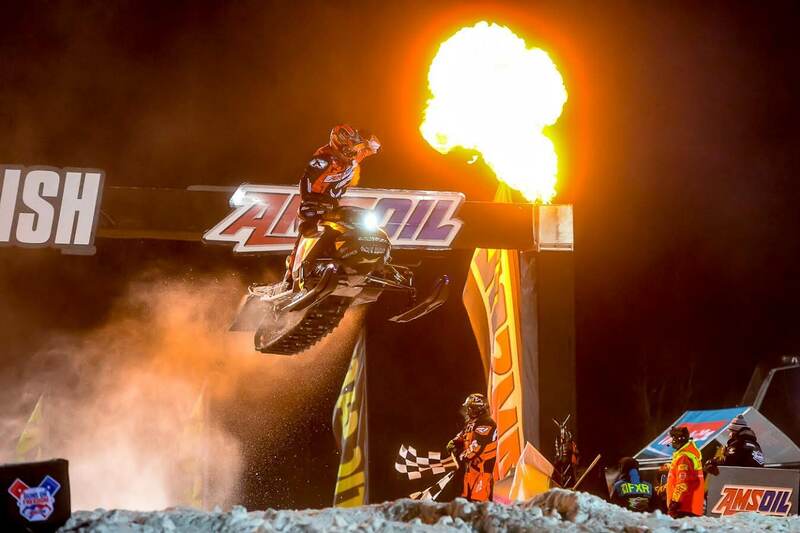 The Vermont native kept on the throttle in the final, grabbing the lead on the first lap and despite some late pressure for Arctic Cat’s Trent Wittwer, held on for the win. Wittwer, a two-time winner in his rookie season, battled back from a fourth place start to finish second. Korbyn Anderson had his best finish of the year in third, just ahead of points leader Francis Pelletier. Patenaude was able to cut into Pelletier’s points lead a bit on Friday night, picking up seven points overall. Melane Anderson continued to ride out front in the Pro Women’s class. Anderson picked up her second win of the year and held off a hard-charging Megan Brodeur for the last few laps. Taven Woodie finished third. Jordan Lebel has only missed one podium in this year and won his third straight Sport Lite final. Jake Belair and Tyler Archambault rounded out the podium. Beau Tibbetts won his second Sport final of the season. Points leader Samuel Blouin finished second and Marco Travaglini nabbed his first podium of the year. After winning his second Winter X Games gold medal last weekend, Cody Matechuk’s made his season debut on the national circuit in Mt. Pleasant. The Cochrane, Alberta native diced early on with points leader Harris Huizenga, but took control on lap five and won by nearly 15-seconds. Jesse Kirchmeyer finished third.